A few weeks ago I wrote about three ways Warner Bros. could go about rebooting the Batman franchise now that Christopher Nolan’s Dark Knight Trilogy has officially come to an end. It seems like a daunting task for both the studio and whichever director is assigned to take over, but nonetheless the franchise must move forward. The three ideas I proposed have gotten some great response from readers, so I wanted to expand on each theory a bit further. Today, I want to explore the reboot idea that appears to be the most popular one right now: John Blake as Batman. For those of you who don’t remember, John Blake (a.k.a. Robin) was basically given the Mantle of the Bat at the end of The Dark Knight Rises. A lot of people, me included, would love to see a reboot featuring him as the new Batman and operating within the Gotham City that Nolan created. First of all, forget that his real name is Robin. His name could be Jack Napier for all I care. If you’re going to go forward with Blake as Batman you have to make people forget Blake is Robin. 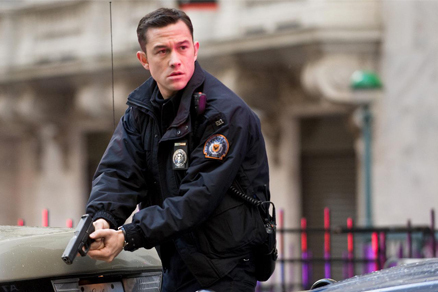 So, what’s the best way to make a Batman movie with John Blake? There are three ideas I think would work best. Let’s face it, the Batcave and Wayne Manor go hand-in-hand. While Blake had access to the Batcave at the end of TDKR, he wasn’t given the mansion itself. So, how can Blake live and work in Wayne Manor and the Batcave the way Bruce Wayne always has? Simple: have Blake be in charge of The Martha and Thomas Wayne Home For Children. You’ll remember that at the end of TDKR Bruce Wayne’s will stated that his estate would be used to house and care for the city’s at-risk and orphaned children. The children were originally set up at St. Swithin’s Home For Boys, where John Blake lived after the death of his parents. Having Blake be head of the Wayne House seems like a natural fit—and we saw in TDKR how much he cares for the kids. It would allow him to not only look after the people he loves but also be able to work and operate out of the Batcave without raising any eyebrows. There’s no way you can have a Batman movie without Wayne Manor, even if it isn’t Bruce Wayne occupying it. For me, the best part about Batman Begins was watching Bruce go through the growing pains in becoming the Dark Knight. From fighting Ra’s al Ghul on a frozen lake to jumping off police headquarters in a black ski mask, it was a great way for us to see how Batman became Batman, something we never got to see in Tim Burton or Joel Schumacher’s films. What sets Batman apart from other big name DC heroes like Superman, Green Lantern, and the Flash is the fact that he has no superpowers and relies solely on his strength and detective skills—although having a billion dollar bankroll and an arsenal of cool gadgets at your disposal doesn’t hurt. I think audiences would love to see Blake go through similar growing pains instead of watching another origin story about Bruce Wayne. What would make this type of reboot even more interesting is the fact that Blake has no formal training. Bruce was mentored by Ra’s al Ghul while Blake was just left with a cave full of bats at the end of TDKR. I’d love to see how Blake goes about becoming Batman and I would also love to see him do so reluctantly because Blake knows what Batman stood for and what he meant to Gotham. A part of him has to believe that he can never live up to the standard that Bruce Wayne set as Batman and what the people of Gotham have come to expect from the Dark Knight. I like to think that at first Blake would refuse to wear the mask and suit out of respect for Bruce Wayne and because he’d feel as though he hadn’t earned that right yet. He may start off rogue and just wear a ski mask or some variation while fighting out on the streets, and once he’s learned to channel his anger the way Bruce did—I’m guessing by the end of the second act—he takes up the mantle of the bat officially. There may also be another reason why he takes on the role of Batman, which I’ll explain below. Batman helped eradicate organized crime in Gotham City and, prior to Bane’s arrival, the city experienced their most crime-free period in recent memory. Now, with Batman assumed dead and gone, what’s to stop organized crime from rearing their ugly head again? And, who would be a great criminal to take on that role? For me, there is one villain in Batman’s rogue gallery that I think would have been perfect for Nolan’s world of realistic characters. He would also serve as a great first-nemesis for John Blake’s Batman. The villain I’m speaking of is Oswald Cobblepot, a.k.a. The Penguin. I’m not talking about making him look and sound like Danny DeVito’s interpretation of the Penguin in Batman Returns. You don’t even have to ever call him Penguin, just like Selina Kyle was never officially called Catwoman in TDKR. Instead, make Oswald the head of a new nightclub in Gotham—The Iceberg Lounge—and have his club be a front for a drug and weapons smuggling operation. With no Batman, crime is bound to return to Gotham and someone is sure to try and establish himself as the new head honcho. 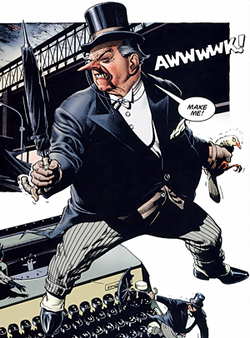 I always felt that the Penguin would have been the perfect fit for Nolan’s Gotham, especially if Philip Seymour Hoffman took the role. You can have Blake discover Penguins operations and realize the only way to strike fear back into the hearts of criminals is to have the Batman return, which is when he decides to finally wear the cape and cowl. The symbol of Batman alone is enough to scare criminals, but having him seemingly return from the grave after surviving a nuclear blast is sure to terrify more than a few people in the underworld of Gotham. What’s even better is that in newer characterizations of the Penguin, he actually acts as an informant for Batman, who comes to tolerate certain operations of the Penguin in exchange for information. It’d be great to see Blake become Batman and eventually build this relationship with the Penguin. Plus, it would allow the villain to be a mainstay in future films, even if the Penguin isn’t the main adversary. We’re still a long way away from finding out what Warner Bros.’ true intentions are for the Batman reboot, but with a lot of people clamoring for John Blake to take over, I think this might be a great way to create a Batman franchise with him in charge. "There’s no way you can have a Batman movie without Wayne Manor, even if it isn’t Bruce Wayne occupying it." There was no wayne manor in The Dark Knight. He was living in the penthouse b/c wayne manor was being rebuilt. You're not describing a reboot. You're describing a sequel. And, no... just let it go. Cross your fingers for a good NEW interpretation of The Batman in the new Justice League / Man of Steel universe. All this talk of Batman coming back makes me wish Bale would return and mentor Blake; which we all know won't happen. While I'd love to see the story continue, I can't help but think anyone who returns to Nolan's universe without Nolan's involvement will fall way below expectations. I think the best idea is something completely different, despite me wanting to see more of this world. That's a great point, Steve. It's always hard to say goodbye and you're right, any return to the Nolan universe is a risk without Nolan in board. WB has to ask themselves if the risk would be worth the reward. "He may start off rouge..." Nah, I think he'll start off magenta. Possibly burgundy. On second thought, he might start off rogue. I'm sorry but all your ideas are terrible. Robin Blake is just Robin by name. He's not Batman and he's not going to take up the Batman mantle. It's mostly fans' wishful thinking. There was a reason for Batman to retire for 8 years and another reason for Batman to return. But there's no reason for Robin John Blake to be Batman. He lacks the training and he doesn't have any superpowers. Yes being incredibly rich is a super power in my book. The training part of Batman Begins might be interesting for the first time but a lot of people also commented on how boring the beginning of Batman Begins was. Tim Burton got that. He understands that Batman works best as a character filled with mystery. And last, Penguin as the main villain of a Batman movie? I don't think anyone would take him seriously. If you want an organized crime crime lord you go with someone threatening like Black Mask.